It is so hard for me to function in a kitchen that is messy. 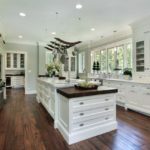 But, with a toddler, husband, and two dogs in our home, counters can get cluttered, the pantry can become unorganized, and the refrigerator can look messy … unless you have systems in place. 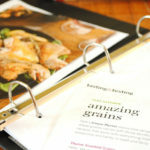 I’m all about creating systems in the kitchen to help maintain a clean and organized kitchen. 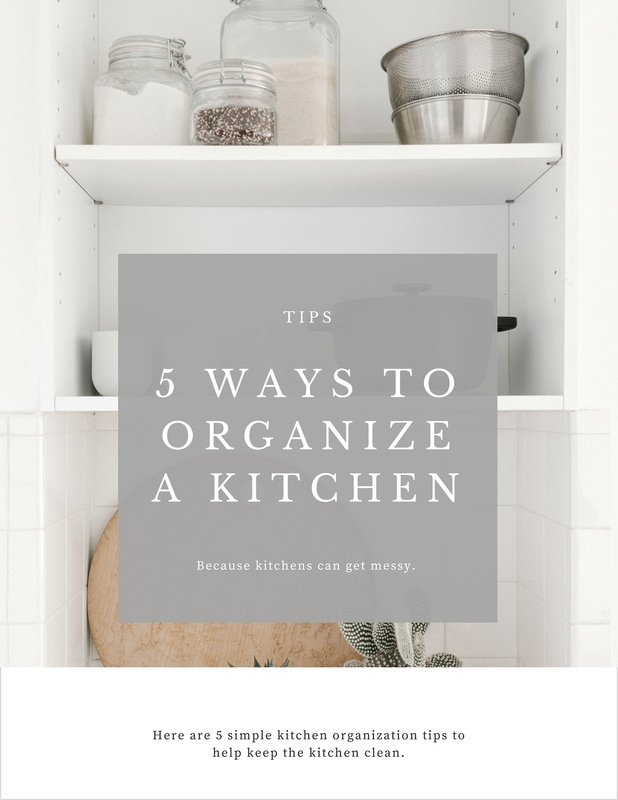 Here are some simple storage tricks for kitchen organization that I love to implement in our kitchen. I’m also a firm believer in the quick 10 minute kitchen clean up. Going to bed with a messy kitchen is something that I strive to avoid every night as I shut down the house and prepare to crawl into bed. I love waking up, going downstairs, and seeing a clean kitchen. 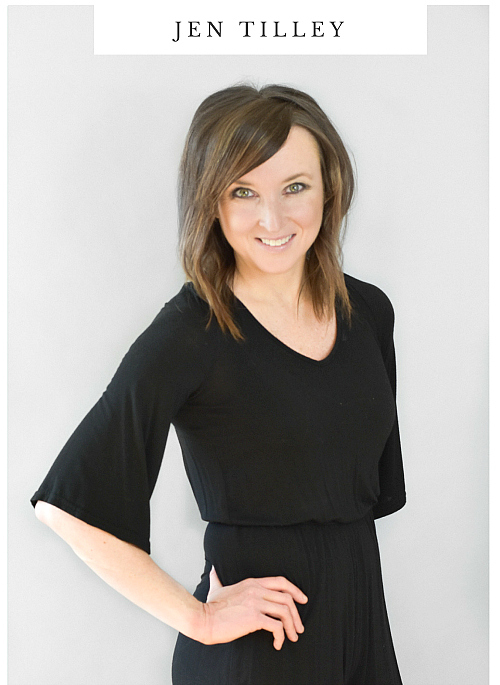 So, how can you create systems, maintain cleanliness, and ensure that there is organization in your kitchen? 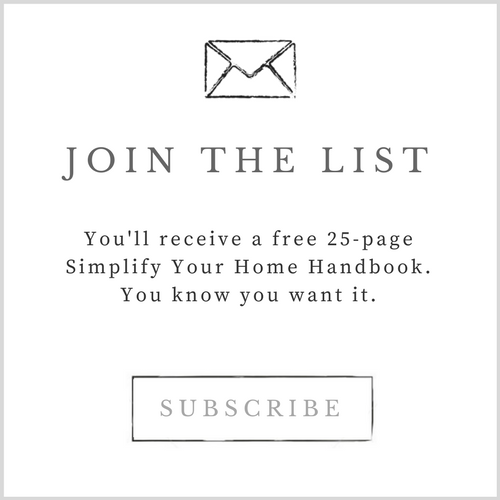 Here are a few simple kitchen organization items and tips that will help. Chalkboard labels are not only cute, but they are also incredibly functional. 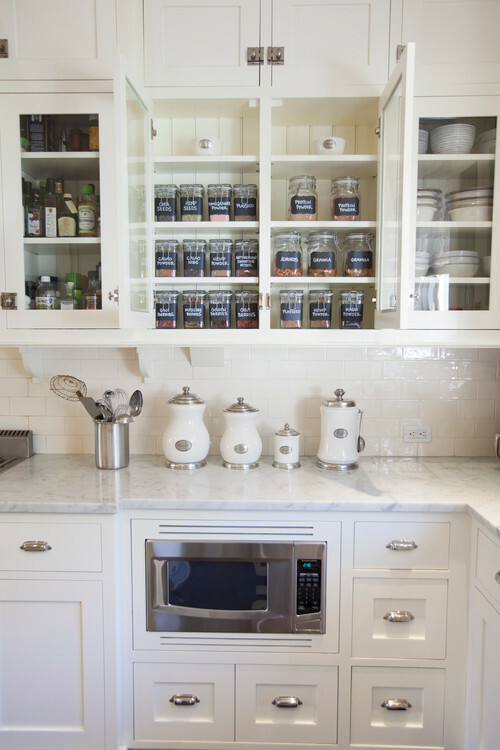 By placing chalkboard labels on jars and drawers, you can easily mark what is where. You can also change up the labels with a swipe of a cloth. 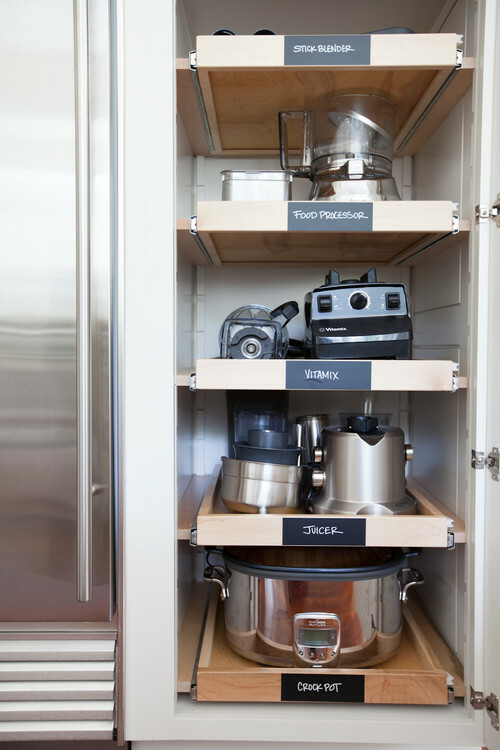 Chalkboard labels add so much style to kitchen organization, not to mention a streamlined approach to keeping items easy to find. There’s nothing worse than rummaging through your drawers as you try to find a pasta spoon while your pot is boiling over. 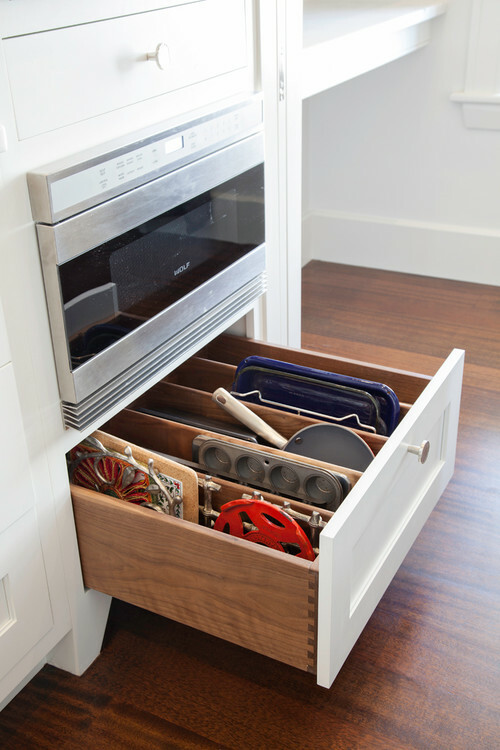 Make sure your kitchen drawers are organized by enlisting the help of drawer organizers. Drawer organizers come in a variety of shapes and sizes that are suitable for any cabinet or drawer. Wicker baskets are a great way to store odds and ends such as snacks, crackers, chips, and kids special treats. 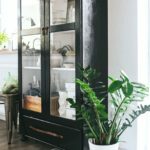 They can add so much style to a pantry all while being very functional and useful. 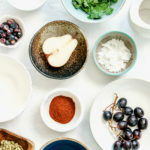 From white to brown, black to blue, wicker baskets come in a variety of shapes, sizes, colors, and textures that will match the design aesthetic that you are trying to achieve with your kitchen organization. 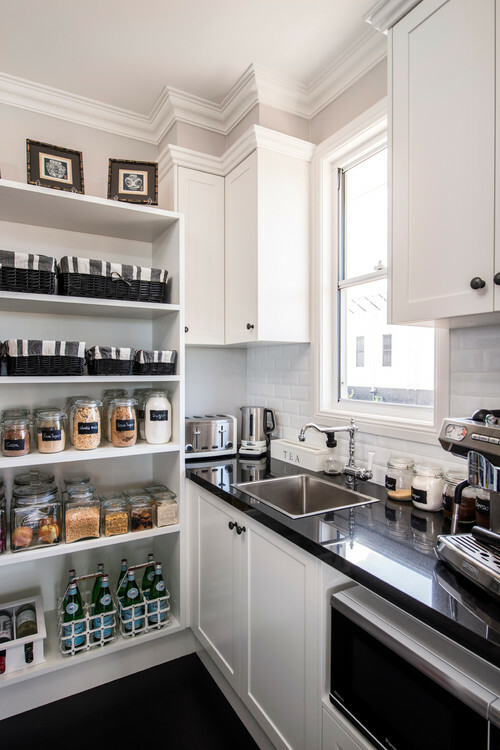 I love the idea of installing sliding baskets in a pantry. Make sure that your sliding baskets are breathable so that you can store produce in them such as onions and potatoes. These food items love dry, dark places so what better spot than a sliding drawer in a pantry? With a few simple steps, you can have sliding drawers that keep your produce fresh and ready to grab-and-go as you prepare a meal. From mason jars to plastic jars, pick up some clear jars with lids the next time you’re at the store. 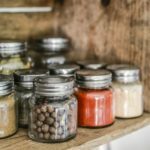 By having the jars all match, you can create a matchy-matchy, organized look that will make your food items easy to find. 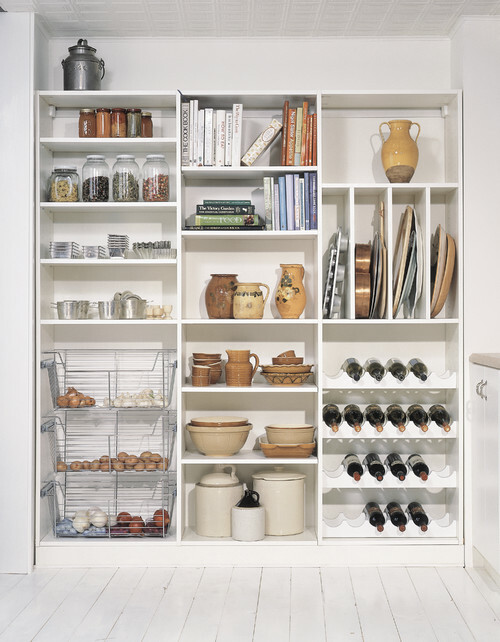 What are your favorite kitchen organization tips?